Indians lave lost 20 lk crores this year at Dalal Street. Stock Market seems to be a Shock Market. The Sensex is now 15.6 K and people have lost optimism. The market is sentimental and not fundamental ! Of course, fundamental analysis and technical analysis will work, but experts feel that BRIC countries will come down by 20% in economic performance. 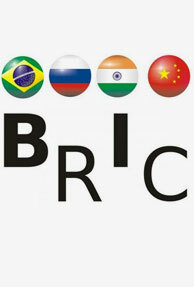 The term BRIC was coined by Jim ONeill and he feels that BRICS may be affected by the global meltdown. 2012 has been projected as a black year, a year of economic recession ! Astrologically, Jupiter in the adverse 10th and Saturn in the adverse 4th is responsible for this calamity. Even though Jove will become positive by May 04 ( that is his entry into Taurus will be good for India ), Saturn is still there with Ardha Ashatama Sani or 1/4 of 8th Saturn ! Saturn can create impediments and India's overall growth will be affected ! 85% increase in Ecom Investment ! Can you believe it ? In 2011, over 364 ecom companies raised over $4.8 billion in venture capital funding. This is an over increase of 85%. The potential of the ecom industry in India is huge and celebrities are going gung ho over it. Criketer Zaheer Khan invested in Exclusively.in and Yuvraj Singh also. Exclusively.in had raised $18.8 million of late. Salman Khan, the Bollywood hero invested in watch showroom BeingHumanWatches.com. Actor Ajay Devgan and Sanjay Dutt invested in Ticketplease. Vatsal Shah in celebwears.com, an online portal selling celebrity clothes. Shilpa Shetty invested in GroupHomeBuyers.com, a home buying site. Not only for monetary gains are the ecom sites eyeing, but also the fan following of their glamourous promoters. The celebrities are normally brand ambassadors, benefitting both the company and the celebrity. Rightly so, as the Net population of 112 million is expected to become 600 million within five years, provided infrastructure is improved ! The allowance of FDI in Retail has stunned the country. The Opposition parties are up in arms and the PM says there is rollback on FDI. 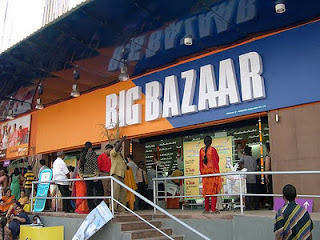 The estimated size of the Indian Retail Market is 200,000 Crore and it will expand to one trillion within a few years. Organised Retail is only 2%. It is 20% in China. 90% of the small retailers, do not pay tax to the GoI. They operate on a small margin fo 4-7% after all their expenses and the GoI is soft on them. 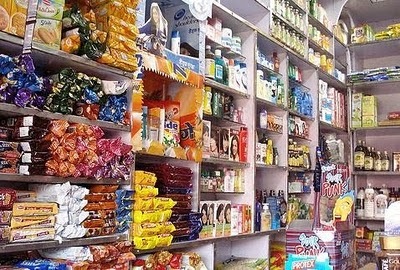 For over decades, they have been serving the Indian consumer and the kirana stores number 12 million. Some of them provide credit facilities and door delivery. They have been the all time fourites for the FMCG companies to introduce and promote new products. But all this changed in 2000 CE, when Organised Retail was born in India. Organised Retail, was then considered to be more costly and innovative, even by the urban consumer. But then Organised Retail has come a long way since then and India is poised for the Retail Revolution. Organised Retailers are not competing with the kirana stores and both coexist. They compete with other organised retailers. Advertisement spend has gone up and you can see ads of the organised retailers in all newspapers and electronic media. In fact, the kirana stores have not lost business. They have become better than before due to competition. The logic that small kiranas will run out of business is a big myth. We have one billion people to feed, dress and house and there are plenty of opportunities at the bottom of the pyramid. Capital infusion is the biggest benefit of the new policy. 50% of the 100 milliion cap should go to back end infra and this means an FDI of 2.5 billiom. Even though the Indian players, Tatas, Ambanis or Birlas have enough capital, what they lack is intellectual capital. We have to get the know how from the international partners the ways and methods to run that business more efficiently. They have been runnning their business for years and FDI comes often bundled with technical, managerial and labour force skills. Astrologically, as India is receiving the adverse transit influences of Jupiter and Saturn, there will be chaos and the Opposition parties are just proving that. Till May, problems may persist due to the Jovian adverse stance. Yesterday, the stock market went up, but then we cannot take anything for granted. The current political situation in India will affect the stock market. In October, the exports have only grown 10% to 19 billion. One hopes that the 300 billion export target will be achieved this year. Large superstores are inflation busters. In the WalMart Effect, the author Charles Fishman shows that big stores squeeze costs and pass on the gains to consumers, because of formidable competition. They had contributed to the sustained low inflation in the US. 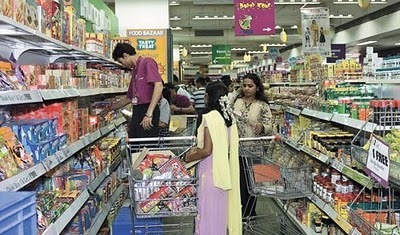 Similarly modern supermarkets can tame the inflation tiger in India. They can create jobs, prevent wastage and improve logistics. Which sane person will oppose them? India's 28 b retail sector will grow by factor of nine within ten years. India's archaic retail sector cannot cope up with the rising demand. Inbuilt inefficiencies and wastage in distribution and storage account for 40%, which does not reach consumers. Fifty million children are malnourished. Foodgrains rot in obsolete warehouses or in transit. Wastage and loss will be avoided by companies who sole aim is profit ! 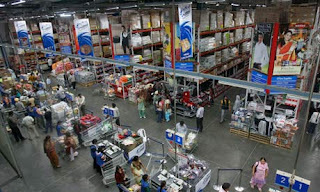 India does not need foreign retails as domestic ones are doing the job well. Independent stores will close, leading to unemployment. Profits will go to foreign players. The Govt has not built consensus. Indian cities will look like their Western counterparts and morality may go down the drain. On the positive side, Retail can boost the farm sector.